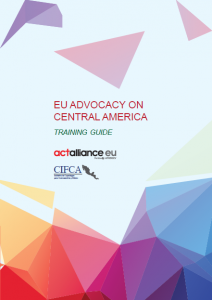 This Guide has been developed as a tool for learning and training for advocacy work in relation to EU policies with Central America. held in Europe and Central America and during our day-to-day efforts to strengthen our institutional work. In Part I – The European Union, its main institutions and bodies. to the EU’s foreign policy on Central America. techniques are presented for advocacy. European Union and Central America.